Large - $114.99 Only 1 left! Who is the strongest woman in the world? That would be none other than Wonder Woman! This hero from the Amazon is always there to save the day when ever trouble is afoot. 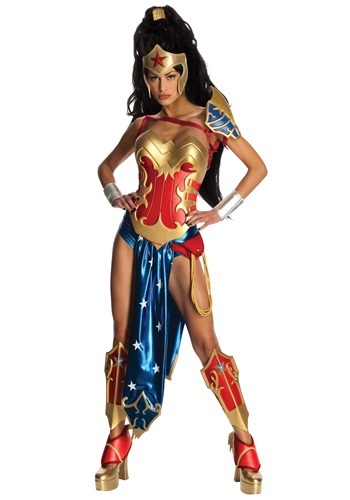 With this anime inspired costume you'll be able to bring a fresh look to Wonder Woman. You'll be all set to join with the Justice League and keep the world safe!